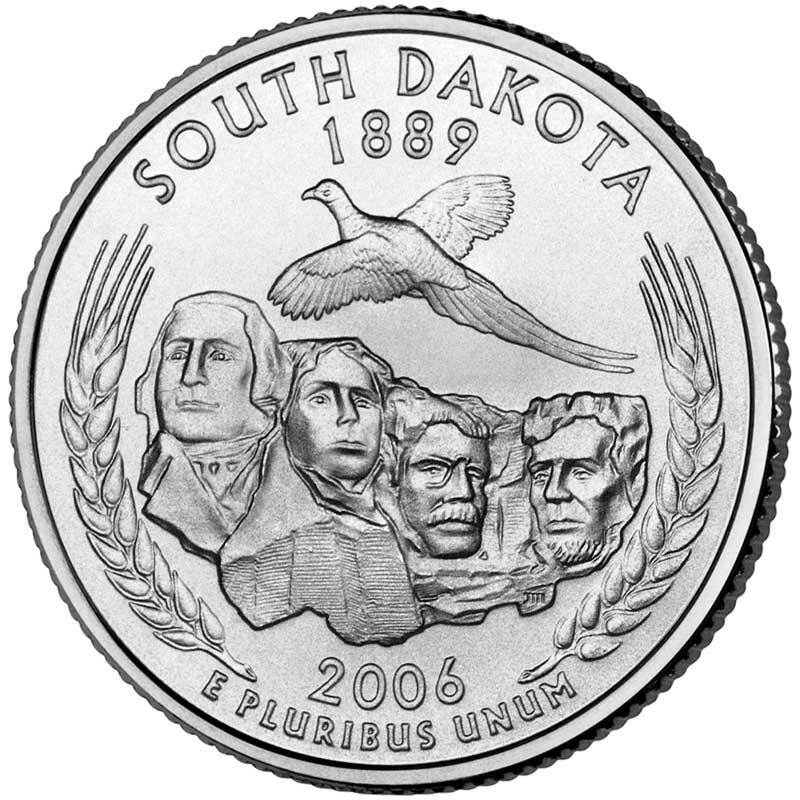 The commemorative state quarter program that ran from 1999 to 2009 gave each state a chance to show itself off to the rest of the country. Something the state should be known for, something pleasant to stick in the minds of the rest of the citizenry. No surprise to me, then, that birds were depicted so often. 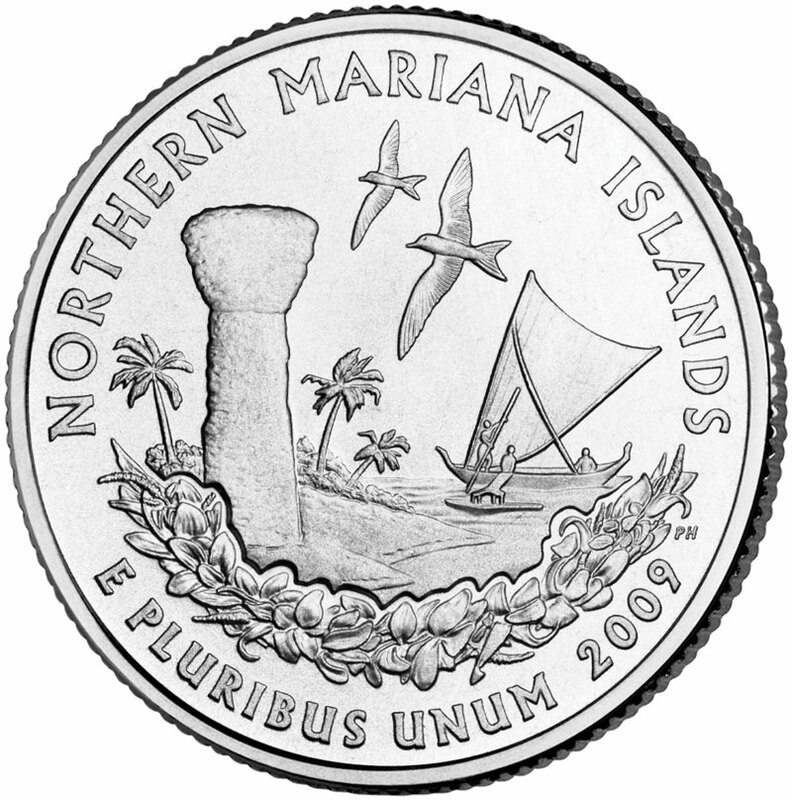 My count shows birds appearing in twelve of the fifty-six quarters produced for the program (that’s fifty states plus quarters for DC, American Samoa, US Virgin Islands, Puerto Rico, Guam and the Northern Mariana Islands). Birds appear more frequently than any other subject, more than boats (9), bison (2), and stupid rock formations that fell to the ground in 2003 (1). 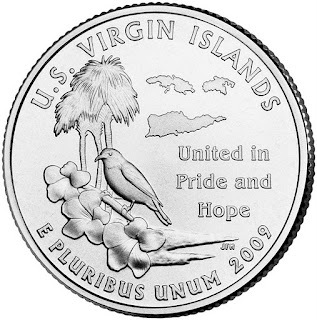 The frequency of birds on these quarters is easily overlooked, but I believe its important. 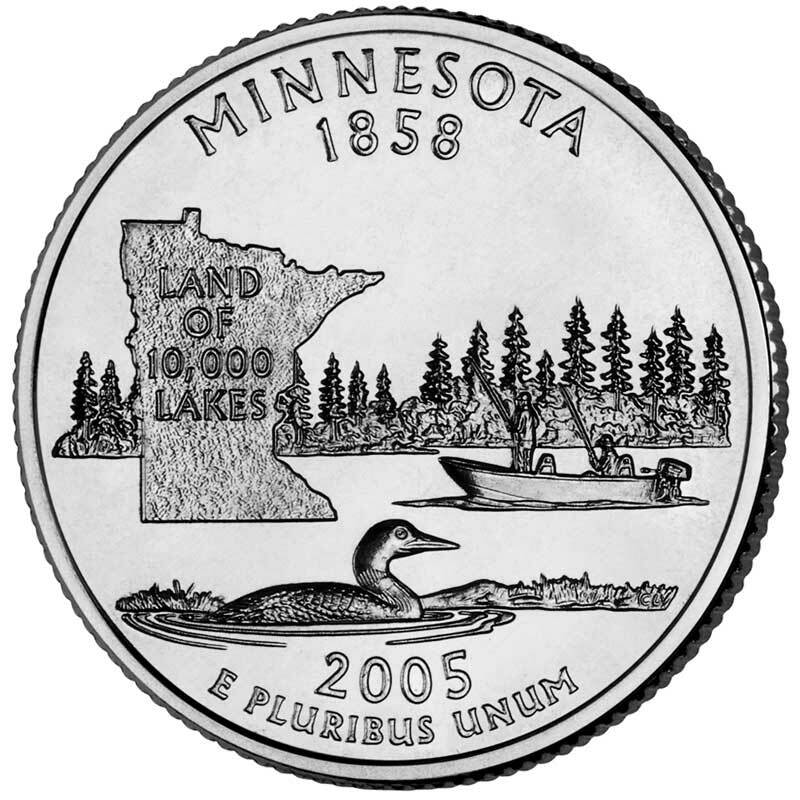 Because each state submitted its own design, these quarters show the states as they think of themselves. 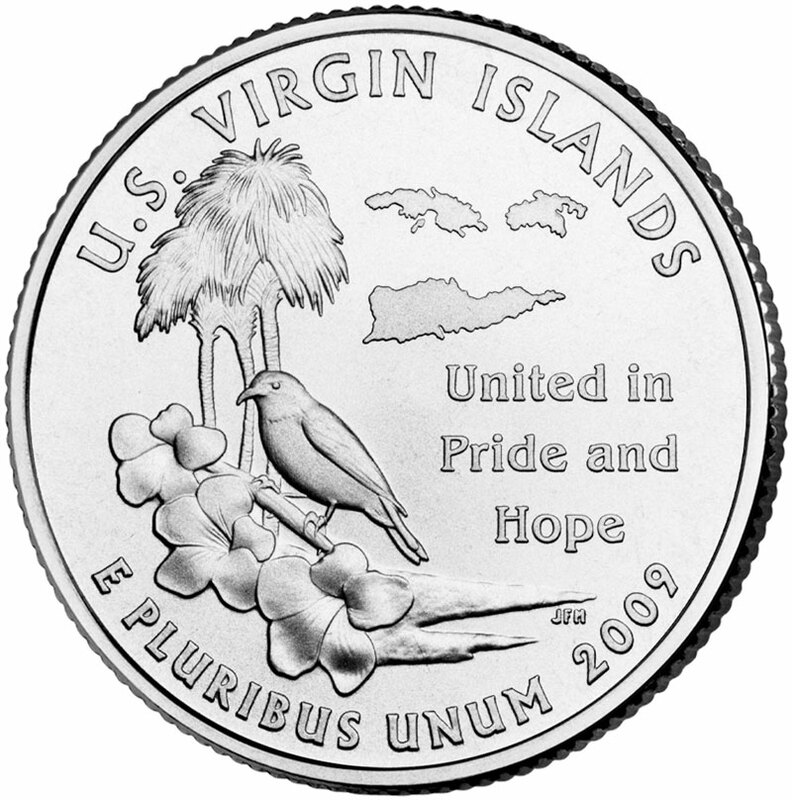 Clearly, states are keen to tie their identities to birds, which are both literal and symbolic representatives of natural beauty. That, or Oklahoma just genuinely didn’t know what the hell else to stick on there. Either way, let’s take a look. 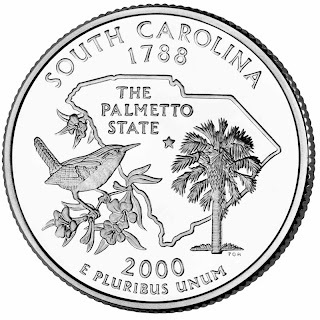 South Carolina was the first state to feature a bird in their design, in 2000. 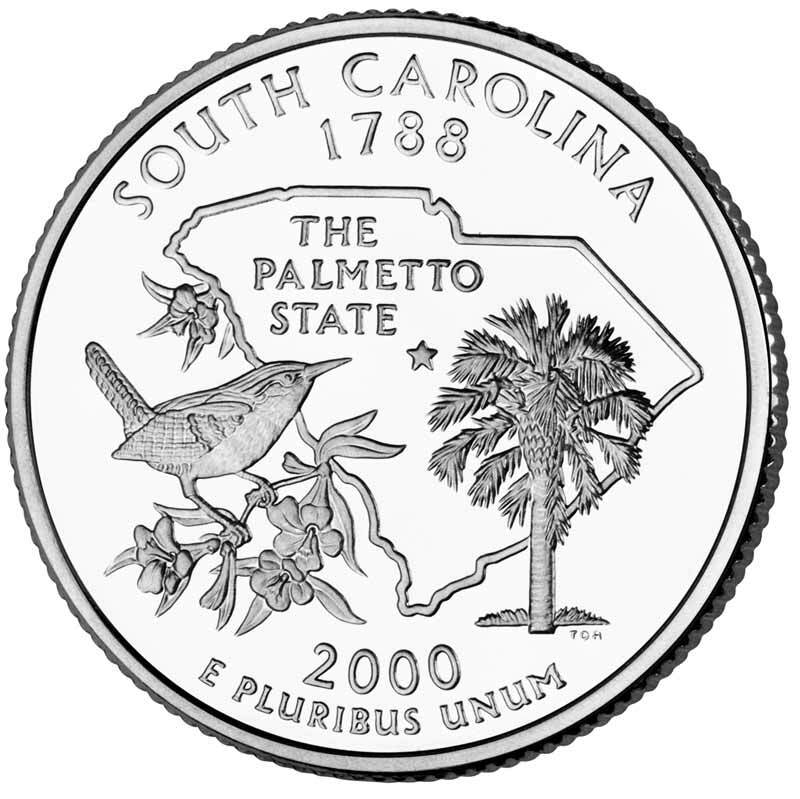 It’s a Carolina Wren, a choice that perhaps fits less comfortably with my “literal and symbolic representations of natural beauty” crack and more comfortably with a “let’s put a bunch of crap from South Carolina’s Wikipedia page on there” strategy. State nickname? Check. State tree? Check. State bird? Check and check. 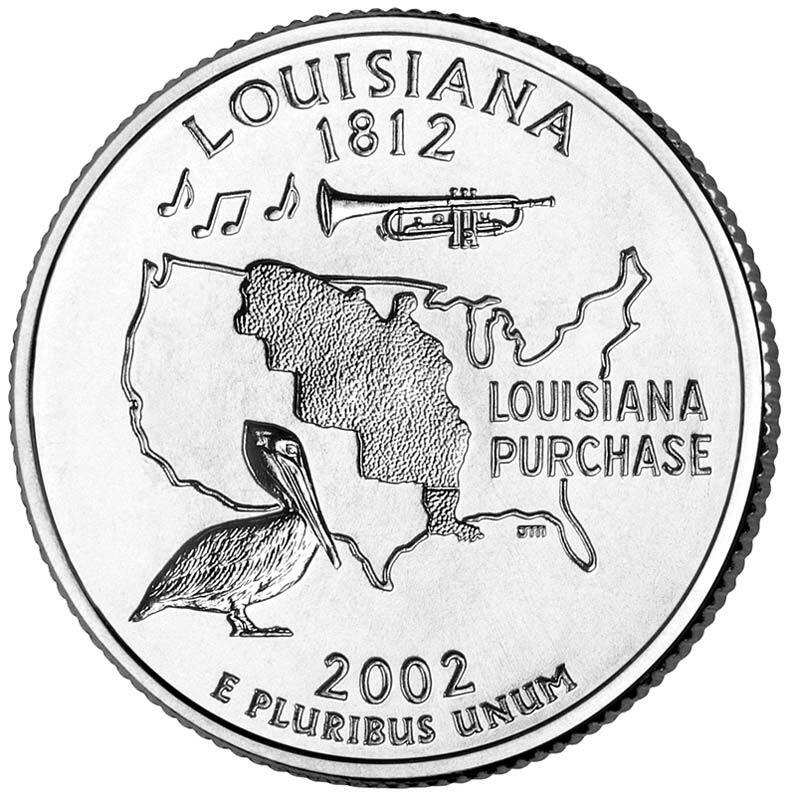 Louisiana is next, with a Brown Pelican. 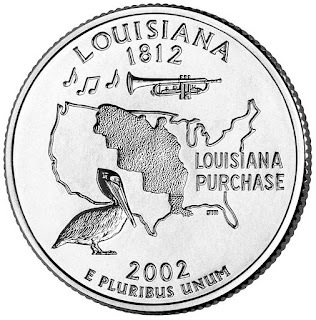 It sits among another hodgepodge of state-related stuff, but it’s a cool bird and easier to etch than the state’s first draft design: a big steaming bowl of jambalaya. 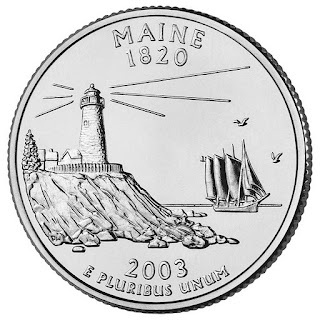 Maine, my beloved home state, is a bit of a cop-out. Two McDonald’s-arch gulls drift above a ship-and-lighthouse scene. No, I’ll admit they’re just background details, but drifting gulls is just the image Maine wants to project! We don’t need to detail our seagulls, there are so many of them that they’re just around, everywhere! 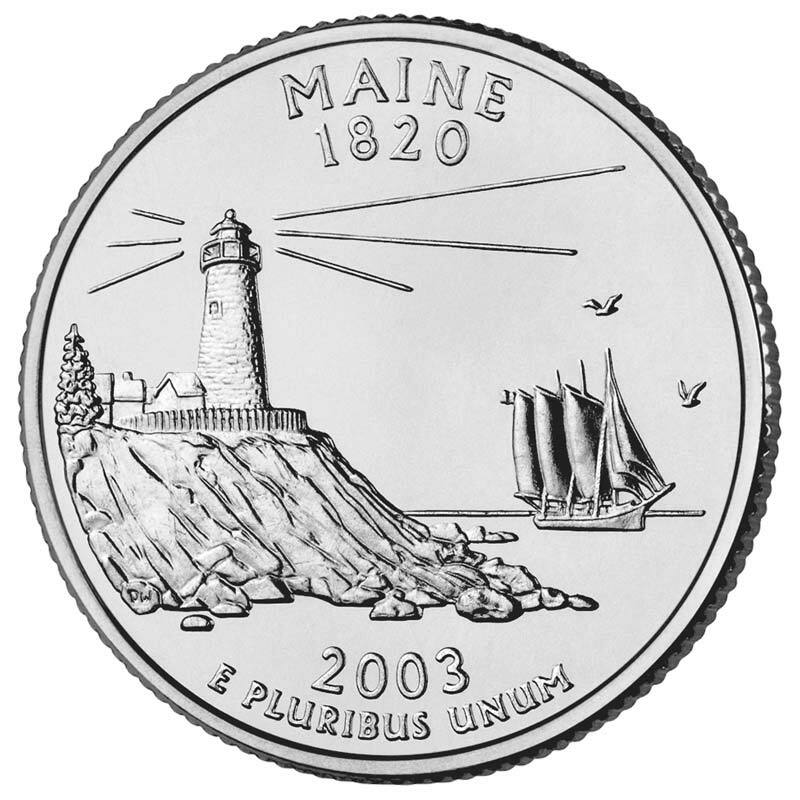 Maine rules it. 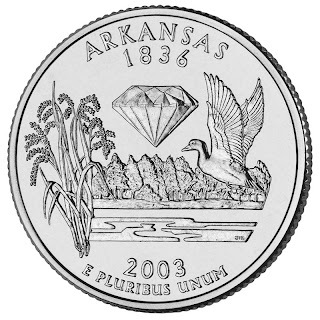 Arkansas features a mallard duck flying into a floating diamond. It’s the trippiest design, and I’m sure that duck is about to be gunned out of the sky in a hail of shotgun fire, but it’s a bird. 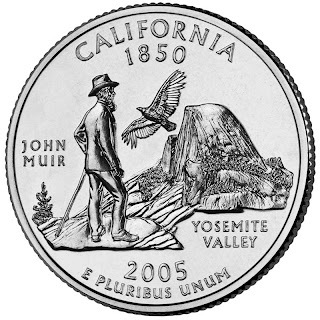 California has the California Condor. Awesome bird, good choice. 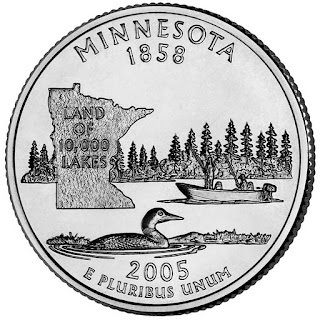 Minnesota’s quarter show a Common Loon cruising along a lake past a couple of (probably drunk) fishermen in a boat. Minnesota’s a pretty relaxed place. 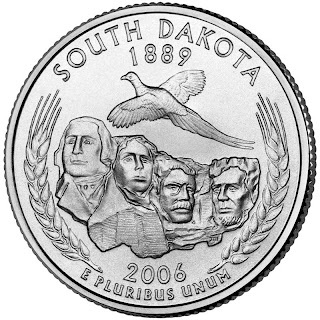 South Dakota’s quarter stirred up some controversy by featuring three invasive thingies: the Mt. Rushmore carvings, wheat (which replaced a lot of native prairie grasses) and the Ring-necked Pheasant. 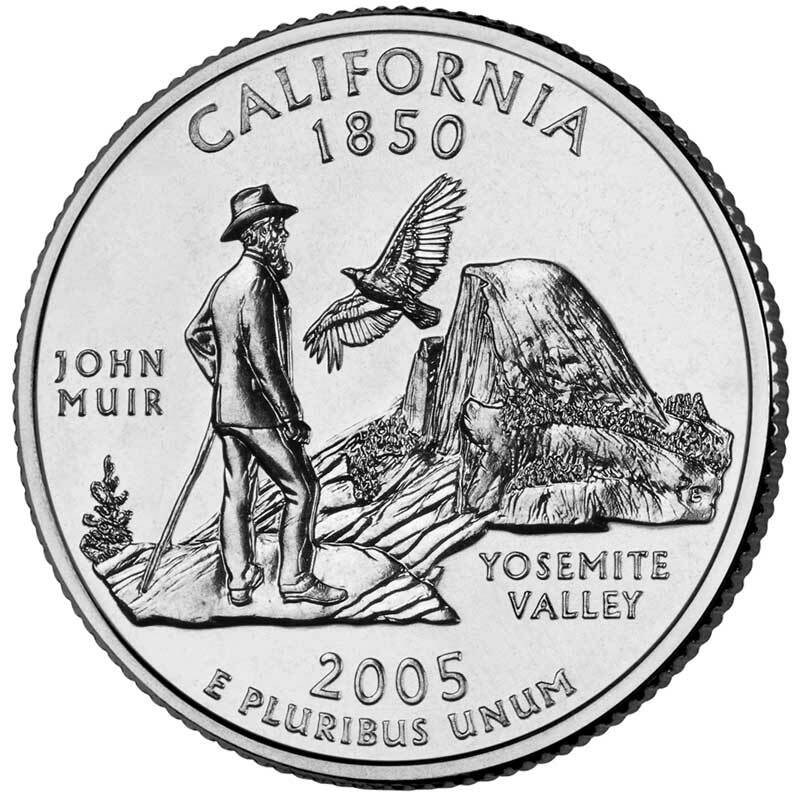 Some people felt that since the state has the highest percentage of Native Americans, putting all-invasive items in their quarter was a dumb idea. Those people are right. 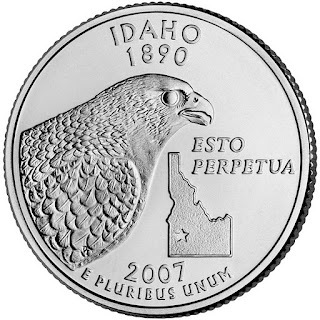 Idaho just has a giant picture of a Peregrine Falcon. It wins the award for everything. Oklahoma is a prime example of a state finding beauty in a bird. 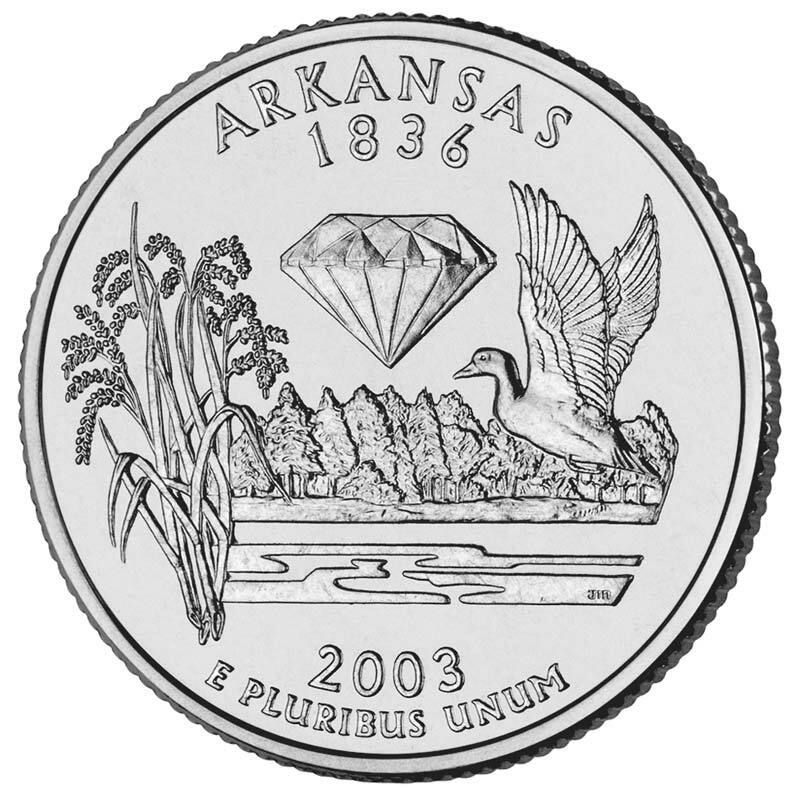 What else would Oklahoma put on its quarter? A dustbowl? Kevin Durant? 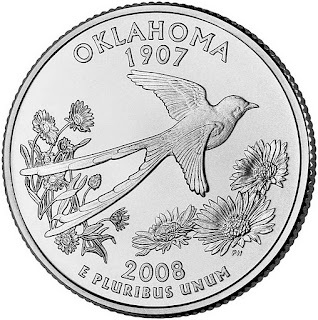 The Oklahoma state PR guy – down on his luck ever since his Oklahoma Is OK license plates became a national joke – totally redeemed himself by suggesting the state feature the lovely Scissor-tailed Flycatcher on their quarter. Welcome back, friend. 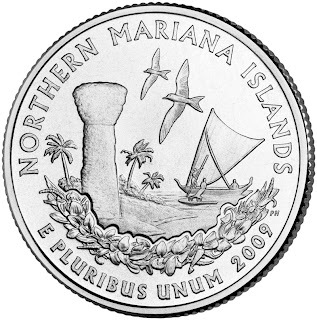 US Virgin Islands features a Bananaquit, which is cool, and The Northern Mariana Islands quarter features an awesome pair of Fairy Terns. USA! USA! My home state is Idaho, and I couldn't be more proud. 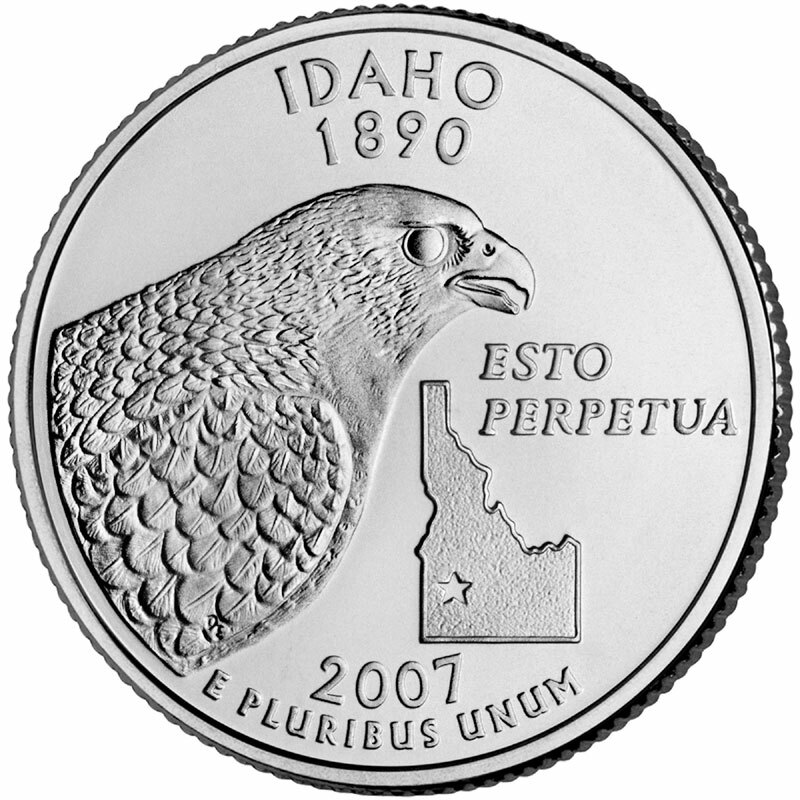 Idaho loves birds so much that they have the Mountain Bluebird as the official state bird and the Peregrine Falcon as the official state bird of prey. The Western Tanager was also revealed to science by Meriwether Lewis who discovered one in Idaho too. Back in 1930 when the state bird campaign was going, there was a campaign for it to be the state bird of Idaho, but they went with the Mountain Bluebird because more school children recognized it. Too bad that Nevada went and ripped off the Mtn Bluebird 30 or so years later. Get your own dang species NV! I guess a lot of states duplicate state birds, but they should rethink it. Mountain Bluebird is at least a cool state bird, even duplicated. North Carolina has a Cardinal. A freaking Cardinal! Just like half the states east of the Mississippi River. Lamesauce. 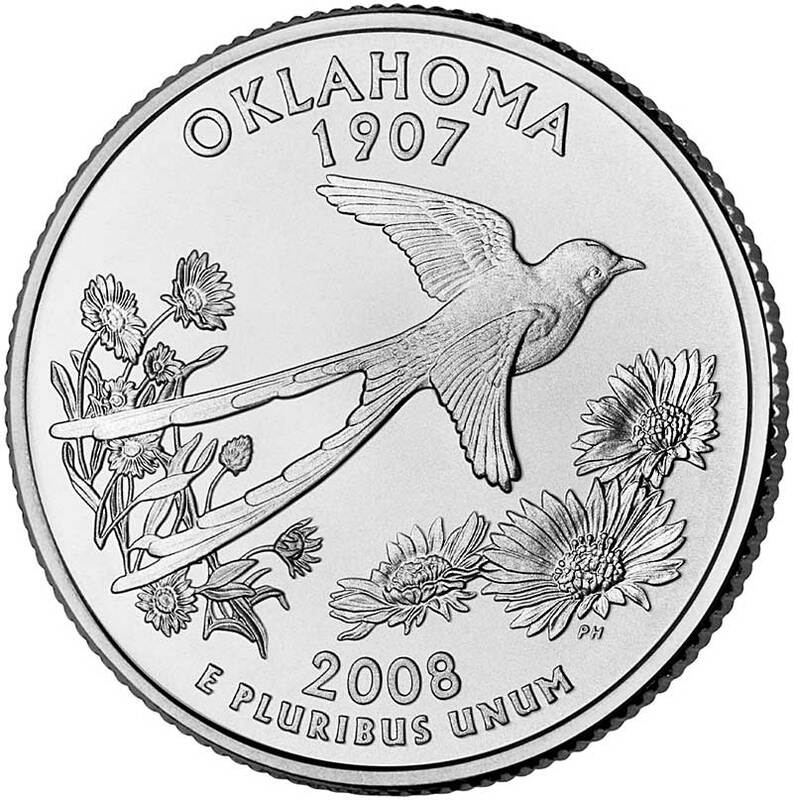 Oklahoma's is on the short list for the best state bird. I'm glad they featured it. The incredible lameness and counter-productivity of having multiple states with the same state bird is deserving of its own in depth thought in discussion and rant. And, by golly, this is the place to do it. Sure! Want to email thebirdist@gmail.com?